St Patrick's Day is just around the corner. 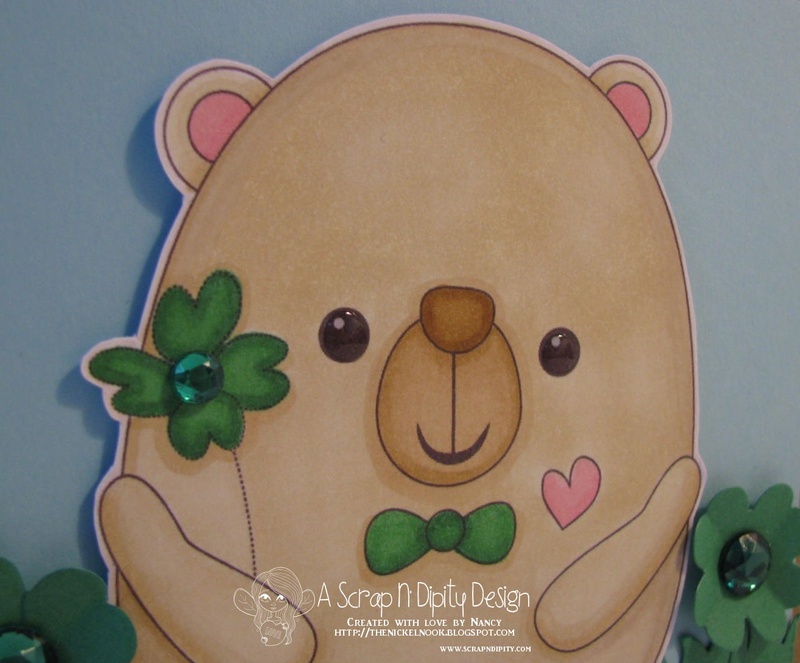 I've made this fun card using the "Beary Love" which you can find HERE. This image actually comes with FIVE variations! 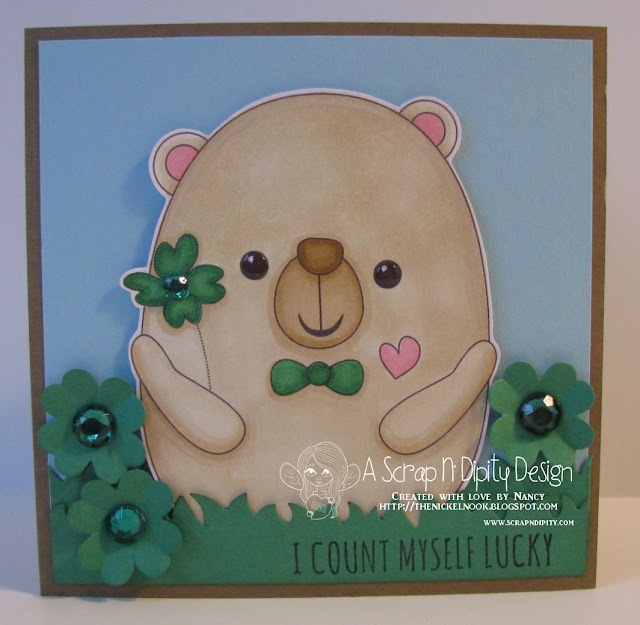 In the image I used, the bear is holding a four leaf clover. I added several more die-cut clover, and placed him in the grass. Finally, I added some bling, and glossy accents to his eyes. The inside of the card says..."to have a friend like you". I hope you are well & having a great week. So sweet card! I love that bear surrounded by four leaf clover! This is super cute and that funny little bear really does bring a smile to your face.